According to a statement released by the tour's promoter Live Nation, the Canadian star will no longer be performing as planned due to "unforeseen" changes in his schedule and his forthcoming projects. A statement issued to BANG Showbiz reads: "Due to some unforeseen changes with upcoming projects, The Weeknd will no longer be joining Rihanna on her upcoming international 'Anti World Tour'." 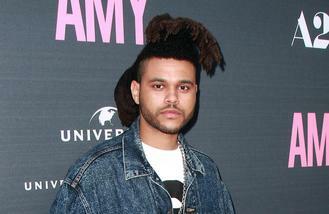 The Weeknd was expected to perform on the European leg of the 'Diamonds' singer's tour along with rapper Jay Sean. The 'Can't Feel My Face' hitmaker - whose real name is Abel Tesfaye - would have joined the R&B superstar at the Amsterdam Arena on June 11 and would have played a further 23 dates, concluding on the final night of her entire tour in Zurich, Switzerland. Rihanna has already completed seven dates of the tour and her latest concert with her North American support act Travis Scott will take place at the First Niagara Center in Buffalo, New York, on Wednesday night (23.03.16). So far on the run, Rihanna, 28, has brought out her on/off boyfriend Drake to perform their hit song 'Work' together and more surprise guests are expected.